The Carter Effect (2017) on Netflix Taiwan. Check worldwide Netflix availability! If The Carter Effect isn't available in your country, or you are visiting a country where it isn't, there is still a way to watch it! 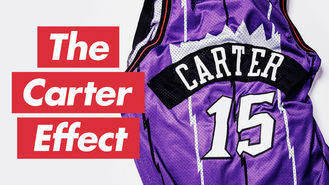 Featuring eight-time NBA All-Star Vince Carter, this documentary takes an in-depth look at his impact on pop culture and the Canadian basketball scene. Before his arrival, basketball had never taken flight in Toronto. See the epic rise of Vinsanity that changed a city forever.